Want to go on adventures to the surf, waterfalls, markets, Nimbin and also have somewhere clean and safe to sleep? Raindrop a compact van for adventures on a budget. Raindrop is clean, drives well and has room for surfboards and changing inside. It’s equipped with everything you need and ready for adventure. Gas cookers, table and chairs, camping and picnic gear. Inside the van is a double bed, crisp and clean linen, feather doona and extra blanket, and mosquitos net curtains. Beach and bath towels are also provided. 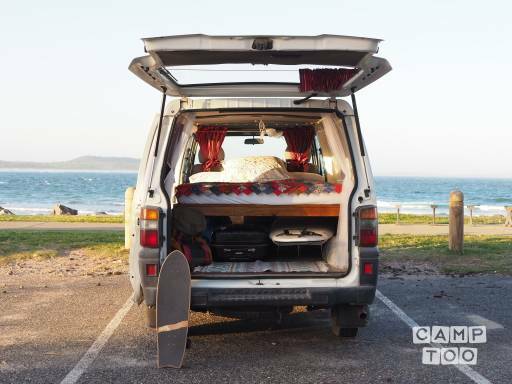 Check out one of the many great places to stay in the van around Byron Bay, from beachfront camping grounds, to freedom camping in the wild. There are great camping spots in the areas surrounding Byron. Manual transmission, petrol, air-conditioned. Seats and sleeps 2. 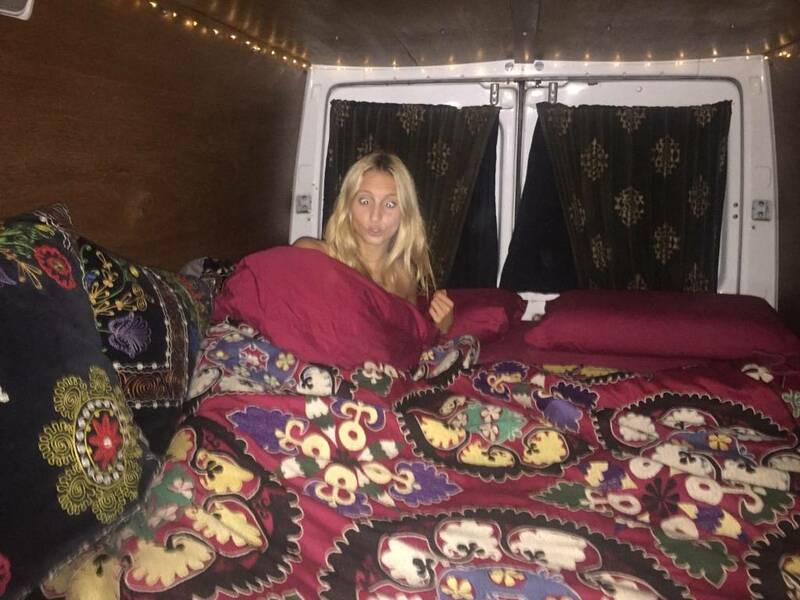 Je kan de camper ophalen in Byron Bay bij Kylie-anne. Je kan je auto hier gratis parkeren.